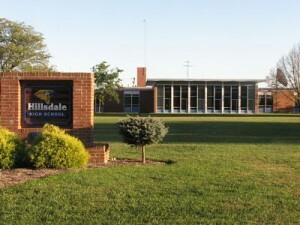 Home » Offbeat » Hillsdale High School Bomb Scare! The Hillsdale High School in San Mateo, California is currently being evacuated. The police have secured the school after a pipe bomb was set off after the school day. The weird thing is even the neighbors are being evacuated, though it seems now that some of them are allowed to return back to their homes. It looks like a student set off a pipe bomb before the school started today. And that student is already in the custody of the police. For the moment all that the police are trying to do is evacuate the school. Looks like there won’t be any school. The students have been moved off of school property. The police are completely clearing the school and blocks around the school. The bomb squad has just arrived at the high school. The bomb squad is on hand to make sure that there are no other bombs on the premises. There could be one student left inside of the locked down school. A student is reported to have called her mother from within the school. Parents are lining up at Abbot Middle School to pick up their children. This is currently a developing story, there will be more updates on this story based on what really is happening out there. 2 Year Old Killed by Wild Dogs in Zoo! Amar’e Stoudemire Marries Girlfriend in Secret Wedding! Next: How to find an Invisible or Hidden Yahoo friend?